Take one bowl , add all dressing ingredients and mix well . Take another bowl add all vegetables and sprouts , salt and mix well .pour dressing and mix well and serve it. Tip : Garnish with cucumber strip , carrot strip , beet root pieces . 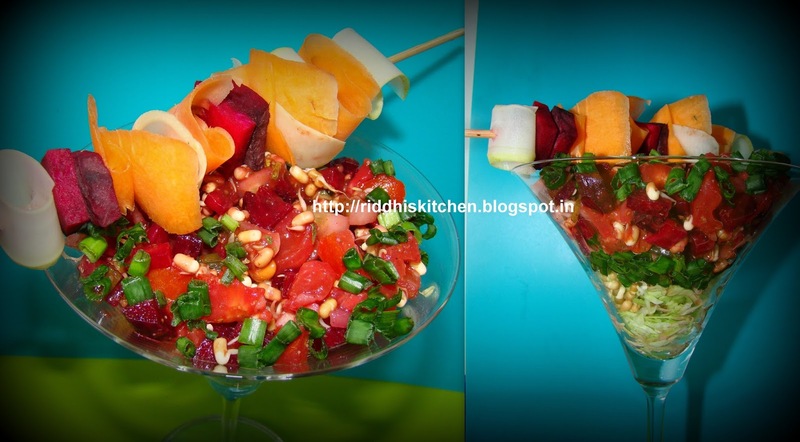 you can use idea for serving this cocktail salad .